By now you probably already now that Wonder Woman Gal Gadot is the new face of the League of Angels series, and most specifically of the new turn-based mobile RPG League of Angels: Paradise Land, which just released this month. GTArcade didn't spare any expenses and a live action meets CGI TV commercial was created featuring Gal Gadot, a massive dragon and League of Angels' most popular character, Theresa. And fire. Lots of fire. The new Wonder Woman Gal Gadot is going to steal the spotlight from most other Hollywood celebrities during the next few months, seeing that the Wonder Woman movie is getting rave reviews and is one of the best movies since… well, forever from a DC Comics character. This isn't the first time a studio has hired a huge celebrity to promote a mobile game – you may recall top model Kate Upton in a lovely white dress and singer Mariah Carey in a shiny gold armour promoting Game of War. You can download League of Angels: Paradise Land for iOS and Android. 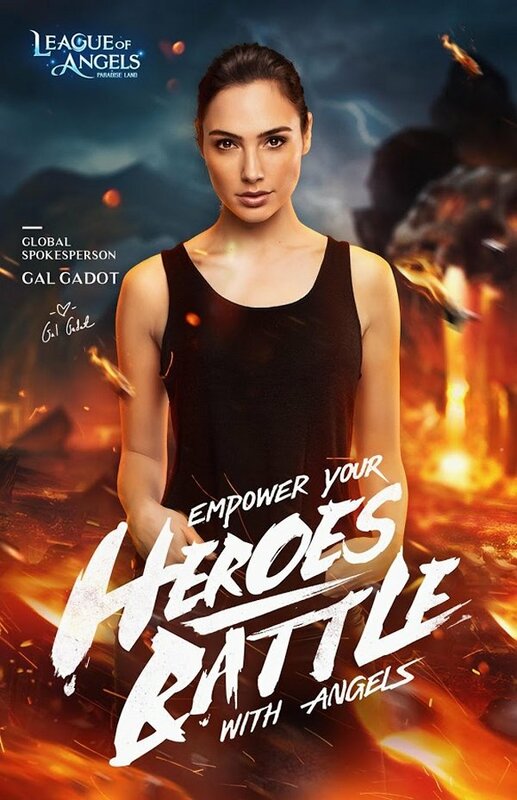 Let us know in the comments what you think of this game and the genius marketing move of getting Gal Gadot as the League of Angels spokesperson right now.